While green-clad drunken blokes careened through the streets of downtown nearby, all 9 board members, and 28 Ignition and community members joined (oh, soberly of course, but a bright green beard was spotted) on Patty’s Day for the March board meeting to get a bunch of $#%$ discussed, decided and announced! Yeah! Jeremy Norton (and Tammy Norton), a licensed pyro-technician, proffered his expertise to incorporate fireworks and other pyro-excitement to enhance the effigy’s awesomeness. Eric M. said insurance specifically excludes pyrotechnics so will cost more if we want to do this. Jeremy and Tammy creatively suggested biodegradable confetti as a fun fire-free option as well. They will be in touch with Sam Ley and start considering the pyro fun for 2014 and beyond. Uncle Dave expressed concern about the board’s increase in email votes instead of during the board meetings. It was explained that there were time sensitive votes such as dispersing the art grant funding so that artists could begin their projects immediately rather than waiting for the next board meeting to receive their check. Kingpin also mentioned that the BOD has been working to create more transparency. All the votes are now visible, whereas in the past they simply happened behind the scenes. Still, the board assured attendees that they are committed to refining the timeline to reduce the email votes in the future. See secretary report below for email votes announced. 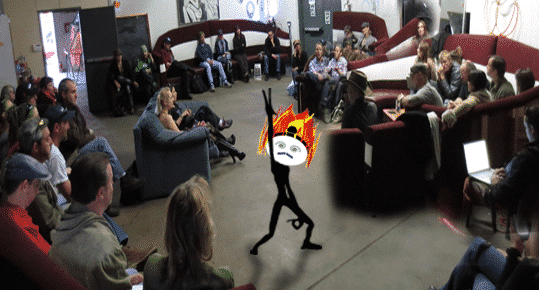 Bobalicious suggested that the board requires Ember Reports from Ignition, especially department leads, in order to earn their ticket the following year. It was something that was already voted on but needs to better communicated. It was tabled for to be discussed in more detail later. Pre-registration is currently open until Mar 31st. Only 12 camps had registered, so Kingpin asked everyone to help get the word out to the community. As you probably know, it was later decided to extend the deadline for pre-registration to April 7th. Center Camp registration is open until Apr 30th. While discussing gate hours and daily schedule, Kingpin said the board would need to know if the Temple of Transubstantiation would be scheduling a specific event. Bastion, our medical lead, broached some vital BAMF scheduling issues should there be a ceremony of some sort on Sunday morning. The topic was tabled because more info was needed from the temple organizers. Communication is Key for Ignition! Kingpin reminded Ignition to check out the communications protocol on the Wiki, and presented a few slides to reiterate the protocol. Reach out via email to Ground Control leads, then call if necessary; if no response email the board liaison, then email missioncontrol (BOD) if no response at that point; Ground Control should be communicating directly with the BOD. VICE PRESIDENT,April “Glitterati” said she had been busy communicating with leads to help create continuity between departments to ensure clarity of roles and responsibilities. She is also working on a checklist for Board Liaisons. 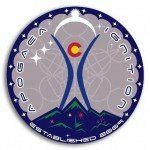 April “Glitterati” announced that seven (7) Apo members will be attending the BM Regional Summit, and she eagerly added that some will be giving presentations at the event. 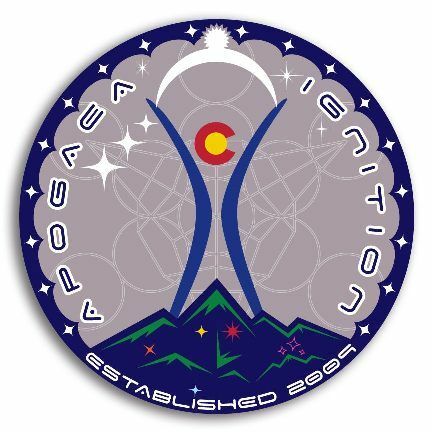 This topic is a continuation of the discussions in the January and February board meetings, and April again requested that Apogaea provide funding for select attendees. TREASURER, Steve M, reviewed the financials and requested approval for a few disbursements. Also, the 2nd round art grant checks will be going out once contracts are received. Apo to Build a Line of Credit for Future Sustainability! For the past few months (check out the December Board Meeting Summary), Steve has been working on building a more secure financial future for the Apo organization by researching solutions that would allow Apo to build a line of credit, and possibly investing cash reserve to earn interest for future use. After discussion of course, there were two motions approved that will shift our organization from being in the more ‘reactive’ realm to being proactive and future-minded. The first motion unanimously approved was to establish a six-month CD with Westerra for all ticket sales revenue minus $25,000. Based on setting up this CD, Westerra would be willing to set up a line of credit with Apo. That led to the approval of the 2nd motion, which was that Apo would, indeed, take out a loan for $20,000 that would be repaid within three months in order to establish the line of credit. Steve gave a shout-out to Ignition because we are currently $304 under budget! He has posted a budget change request form to to Facebook and will send email to Ground Control contacts. SECRETARY, Michele “Miss Alicious” announced the approved motions via email vote to be recorded in the board minutes for posterity. > Ranger changes: since the set of shift leads is sufficient, Duney Dan requested that the board remove 2 ignition lead slots and convert these plus 4 full price reserve to 6 half-price reserve tickets to include Ranger leads from BMorg and other Regional events. Kemo presented his fantabulous Ignition hoodie designs along with the pricing. His design could be made into a patch or screen printed on to the hoodies, but attendees at the meeting preferred the patches to the screen printing. The cost with an 11 inch patch would be about $27.00 per hoodie. April “Glitterati” said the SWAG team would finalize these details to be voted on in the April board meeting. It’s been a point of discussion since the December Board Meeting to change the language of the bylaws. 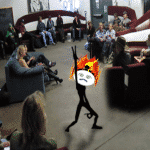 March’s meeting solidified the changes that define the organization’s members more specifically. Eric announced that Apo’s current liability insurance does not cover volunteers, and he suggested we purchase a separate policy to be safe, which would cost about $1,500. He is working to get the cost down. Two motions were unanimously approved to pursue this separate insurance as long as it is no more than $2,000, and additionally to add parking insurance for vehicle needs maxed at $3,400. Want to Volunteer at Apo? Earn Early Entry!